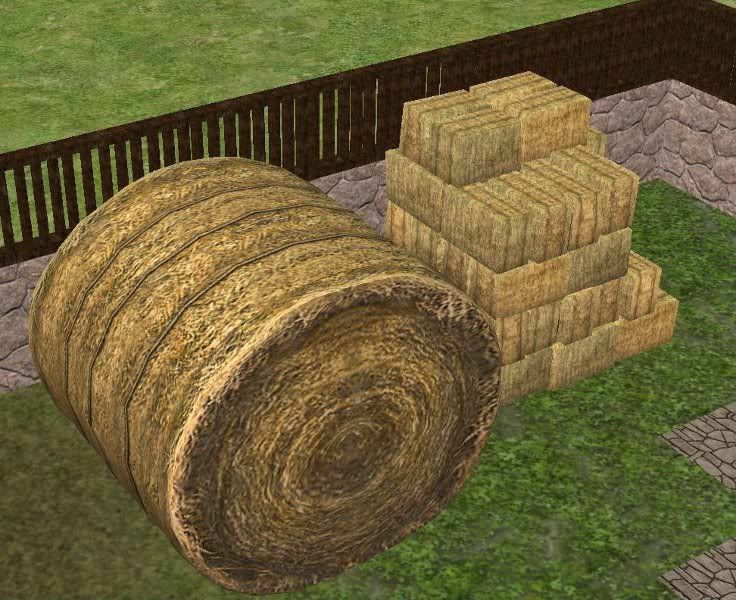 This is The Sims 3 Hay Bales for The Sims 2. It's two different meshes. Found in decorative/sculptures. Cost is 15. Enjoy!